It was a good workout last week, however, I have slipped a bit on my planned mileage for my running workout, but I compensated in my bike mileage instead. I logged in a total of 7 hours and 46 mins of workout the whole week which includes a 2 hour and 53 mins of weekend ride on my mountain bike in Tagaytay yesterday. Total running mileage was 42.5km and a cycling mileage of 48.5km. 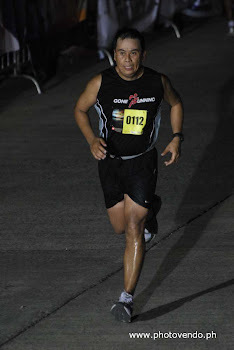 It was a better run for me last week, I decided to push myself a bit and exerted more effort in my 10km run and I was able to finish in 1:04:57. I am less than 5 minutes off the sub-60 mark. Hopefully this week would be a better run for me. Sunday was the planned long ride with fellow Mountain Bike riders and we decided to take the reverse palace route going to Tagaytay. 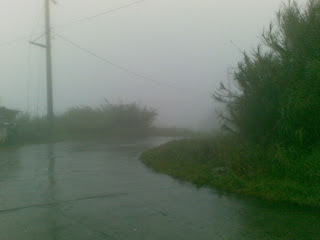 It was a cool morning and we took off from Paseo de Sta Rosa at about 6:00 am. I was riding with Luigi (Ford), Leo (Avon), and Neil (Avon). I appreciated that we started on time as agreed, no more waiting and setting up of bike. We were just read to go and pedal all the way. I haven’t had an uphill climb for a while now and found myself struggling and have been on granny mode (lowest gear) on the way up. Sure thing, running and biking are two different workouts. But good thing that my cardio has improved through running. 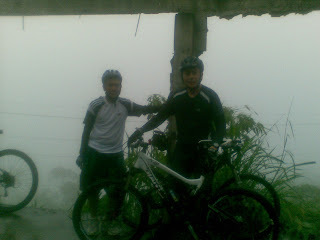 Indeed, I need to do more uphill bike training in preparation to Laguna Loop part 2 (about 185km and I missed part 1). I believe we are scheduling this in February after the Condura Run. After 15km of ride, we took a pit stop to replenish and hydrate, it was already foggy and rain started to pour, we waited for awhile hoping that the rain will stop as it was very cold already, aside from the rain, it was also windy. 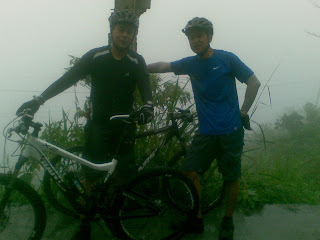 As other bikers started to arrive at the pit stop, we decided to proceed since we figured that the rain will not stop. 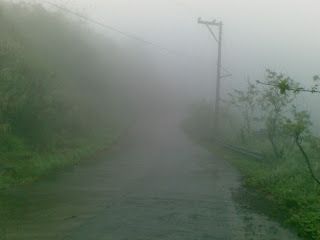 The chillness in the air helped us to climb easily, the road was foggy and you can barely see other riders from a distance. Another training week ahead to look forward to. Here are some photos from our ride. At km 20, foggy, raining, and windy. Brrrr! I came from down there and decided to stop a bit to capture this moment. Still at km 20 looking up ahead, about 500 meters to the Tagaytay National Road. With Neil while waiting for Leo. With Luigi, Leo arrived 2 minutes after. We would like to send you an invite for our marathon event. Can I please get your email address? You can contact me through joelcanalita@fuentesmanila.com.